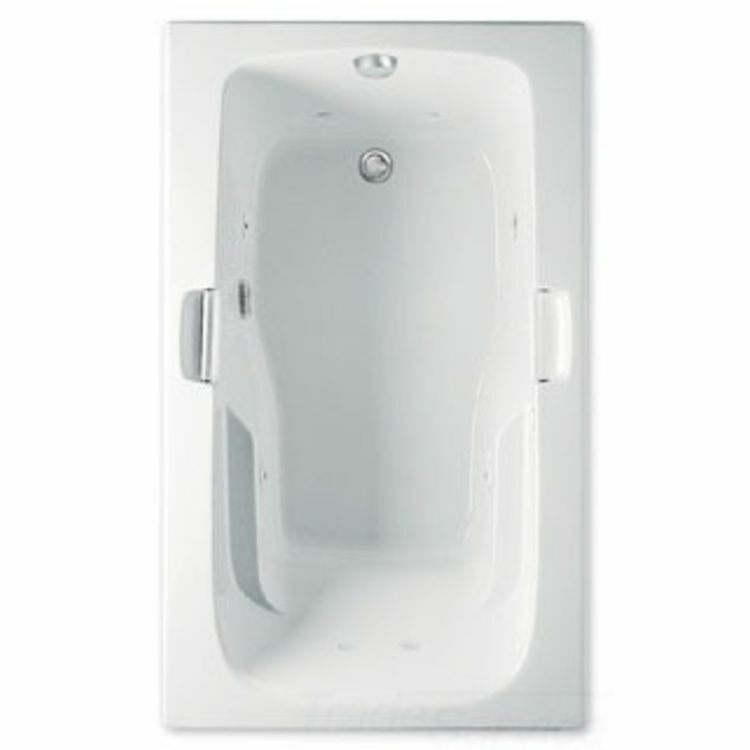 Aquatic Bath 4160620-WH White 60"x36"x22" Acrylic Soaker Tub. "Thinking Outside the Tub", Aquatic's motto and inspired designs set the benchmark for the industry nationwide. Aquatic has a large line of products that range from jetted bathtubs with soothing water streams to sectional showers with accessible and safe features for users. They aim to bring the best to commercial and residential application nationwide. This Aquatic Bath 4160620-WH White 60"x36"x22" Acrylic Soaker Tub is designed to bring the ultimate in relaxation to users. This Soaker Tub is designed with deep wells that allow you to completely immerse your entire body in relaxation. The Tub features an easy to enter and exit design, white Lucite cast acrylic constructed body, a slip resistant floor and a limited 10-year warranty. Tub also includes areas for drain, and bath spout/diverter and an ergonomic backing for comfort while sitting in tub. Soaker Tubs do not include jetted sprays, they are designed solely for emerging your body in the water and de-stressing. Shipping Dimensions 36.0" x 60.0" x 22.0"